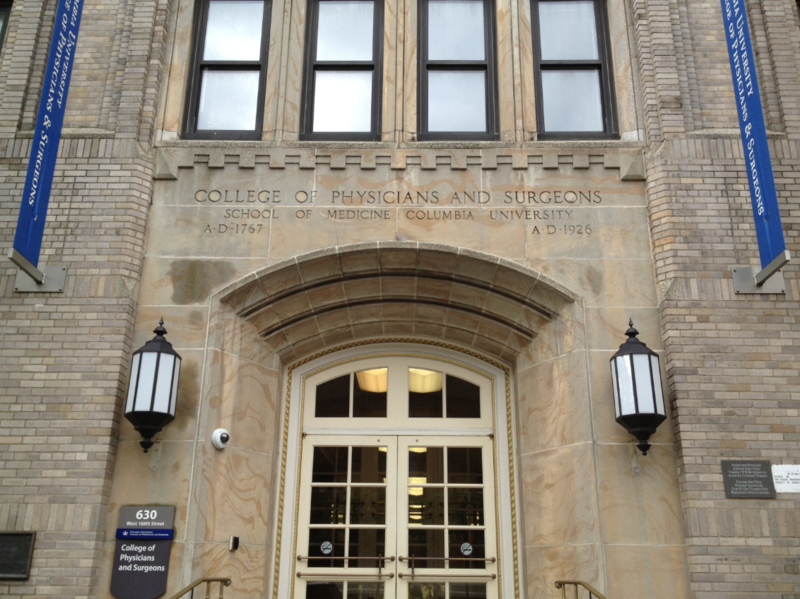 If you could describe your medical school in three adjectives, what would they be? By virtue of being located in NYC, Columbia P&S sees an incredibly diverse patient population, with patients coming in not just locally but also internationally. Diversity also applies to my fellow classmates and peers, who come from all different regions of the US and from different countries, with unique cultural backgrounds and experiences. As a medical student, you’ll notice that your classmates aren’t just good at school…they’re good at everything! Some of my classmates have played collegiate sports, worked in other fields (finance, consulting, teaching, arts) and/or are excellent musicians, singers, and thespians. The fact that our umbrella activities organization (The P&S Club) has over 70 different clubs and societies speaks to the variety of experiences, talents, and contributions each person brings here. I really appreciate that the faculty and administration here are incredibly attentive to needs of students throughout our time here. From the administrative and advisory deans to the P&S Club and Wellness directors, I’ve always received excellent direction to resources I need, from advice on summer research to starting a new club to improving study habits for the shelf. What's one thing that the average applicant would be surprised to learn about your medical school's curriculum? I really appreciated how throughout my preclinical years, there were multiple instances with which I’ll encounter biological and medical concepts. I don’t know how many times I’ve learned (and re-learned) iron metabolism, for example, but from first semester’s Molecular Mechanisms to our year-long, systems-based Body, Health, and Disease curriculum to small groups and preceptor sessions in the hospital, there are many opportunities to engage a topic that I’ve inevitably forgotten, but get to relearn in different contexts. What is something unique or different about the admissions interview process at your medical school? During my interview day, I remember I was impressed that I saw students from every single class stop by to chat with us. In most of the other interviews I attended, it was mostly either first years or fourth years who were available to talk to applicants, and the fact that students on their major clinical year at P&S stopped by the interview suite really speaks to the strong collegiality and mentorship I’ve come to experience here. What's a tradition that you've enjoyed at your medical school that most prospective students don't know about? Every spring, the first year class plan an unofficial weekend class ski trip…without giving too much away, it’s an incredibly fun and unforgettable experience, and you really get the opportunity to deepen friendships with your classmates. Other traditions include Musical Mondays (held once a month where musicians from across CUMC schools are offered opportunities to perform), Coffeehouse (once a month talent shows + other performances), and performances by the Bard Hall Players (a longstanding theater group on campus that was also featured in a New York Times article last year). What's one thing you wish you'd known when you were applying to medical school? Take it easy, and have fun! Nobody ever told me that before, and if nobody ever took time to tell YOU that, I want to be the first. I know everyone reading this has already worked incredibly hard to get to where they are, and are going to put together a phenomenal application—just remember that you’re going into a profession where you have the privilege to participate in the healing process of your patients. I won’t deny that applying to medical schools is incredibly stressful, but I encourage you to not lose sight of your initial desire and motivation to go into motivation throughout the cycle. Furthermore, enjoy your upcoming interviews and school visits, connect with your fellow interviewees (who will be your future colleagues, if not future classmates), and reflect on your experiences and talk through your thought processes with family and friends before ultimately picking the school that you feel you click with. I get asked this question a lot, from the time I started applying medical school to even now, in the middle of my clinical year. For now, I’m interested in surgery and infectious diseases, but ultimately, the kind of doctor I aspire to be is one that patients recognize puts their interests first! Want to work with Jon as you prepare your MD applications?